While an escape to a Mediterranean island will provoke fantasies of golden shores and turquoise seas for many, not all holidays to Sardinia need to be solely dedicated to the beach. Besides the sun, sand and sea, Sardinia offers a great deal of attractions and destinations for holidaymakers to discover. Whether it is a historical city, a complex of Roman ruins or a dose of action and adventure, there are countless things to do in Sardinia. So pick up your beach towel, get off the sand and discover 10 of our favourite things to do in Sardinia without going to the beach. 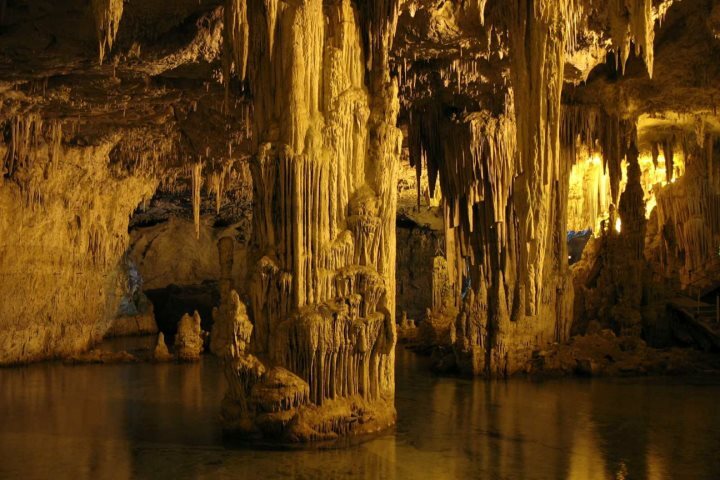 Dotted along the coastline, Sardinia is home to a number of mysterious and picturesque grottoes, all showcasing a world beneath the island. One of the most fascinating and easily accessible is Neptune’s Grotto in Alghero, believed to be over two million years old and home to signs of a Neolithic past. The grotto is best explored on a boat trip from Alghero. The medieval town of Alghero is a beautiful destination, displaying culture, history and natural beauty to those who visit during their Sardinia holiday. 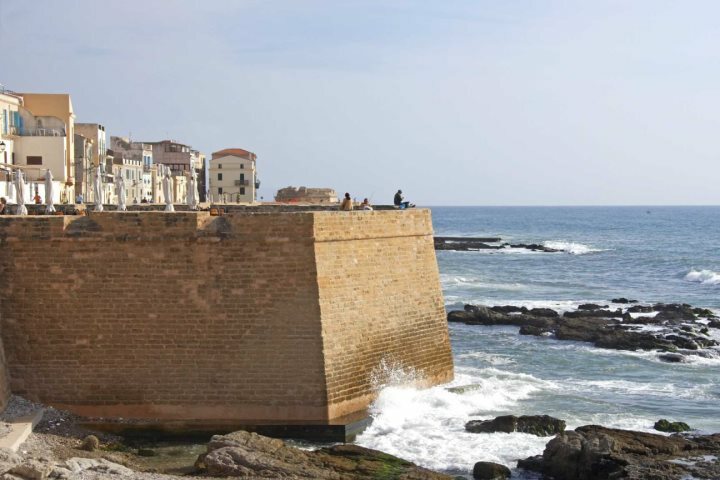 One of the best ways to explore Alghero is by walking along the city walls where you can absorb both the town’s coastal beauty and attractive architectural features. 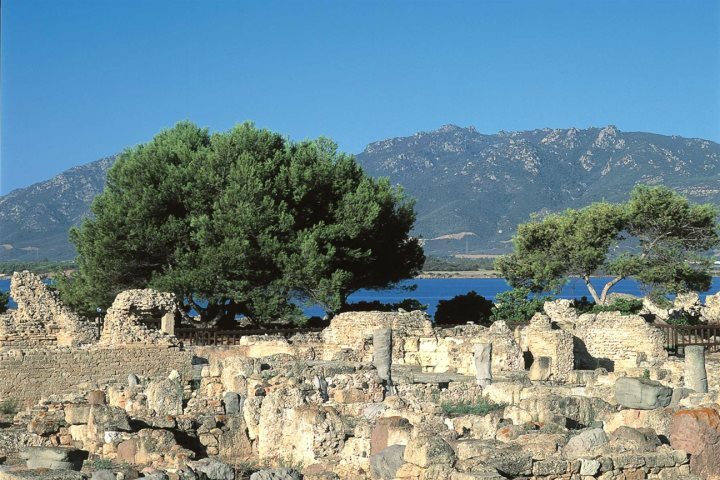 While Sardinia’s Roman ruins don’t match the sheer scale of those discovered on the island of Sicily, there are still several interesting historical ruins to discover during your holiday to Sardinia. Nora is arguably the most impressive, and paying a visit to this intriguing complex of ruins is one of the most memorable things to do in Sardinia. Sardinia is an outdoor adventurer’s playground. 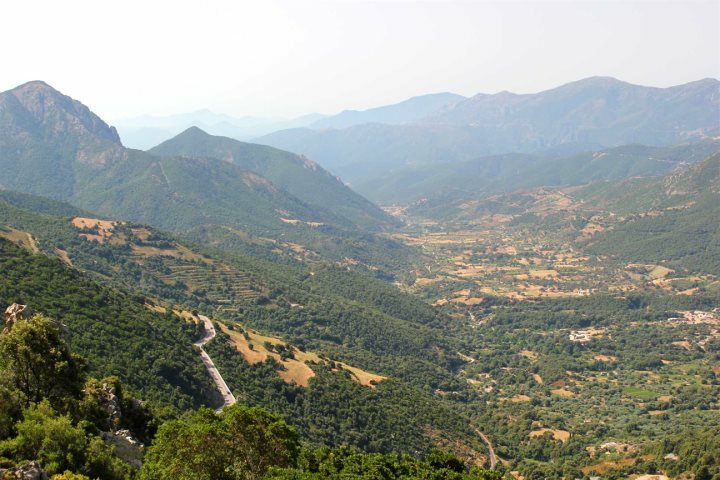 There are several diverse landscapes across the island that ensures it is a paradise for those looking to explore the natural beauty of Sardinia. One of the finest locations in which to absorb this dramatic natural splendour is in Gola Su Gorropu, known as ‘Europe’s Grand Canyon’ and perfect for those looking to enjoy some trekking during their Sardinia holiday. Given its sprawling countryside, Sardinia’s farming heritage is a key element of the island’s character and it is an industry that still strives today. 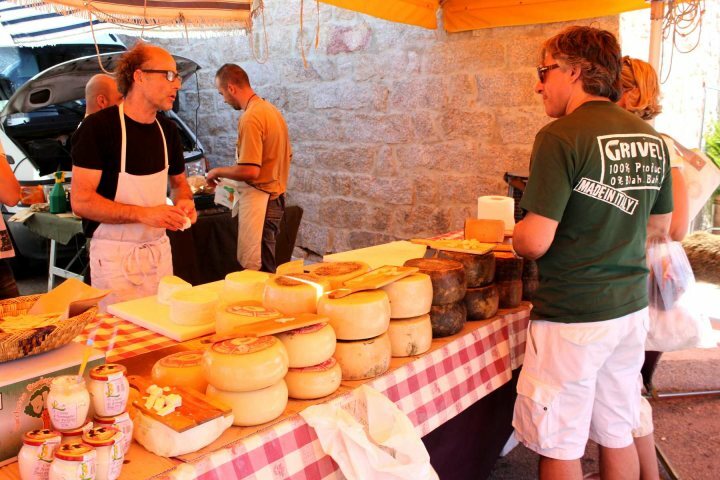 Local produce adorns the menus of the majority of traditional eateries in Sardinia, and you yourself can pick up some of this produce at one of the island’s local markets. One of the most colourful and atmospheric can be found in the shape of Pula Market, held every Tuesday and found in Southern Sardinia. 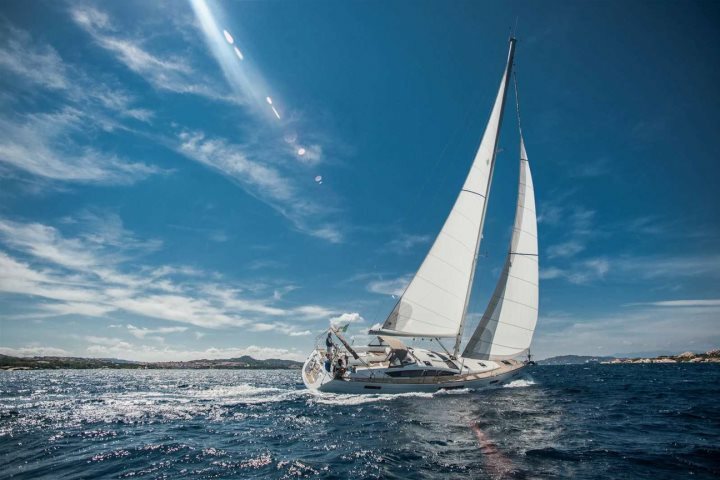 Sailing is one of the most popular outdoor activities in the whole of Sardinia. The island has become renowned as a perfect destination for both competitive and leisure sailing, and it is one of the best ways to appreciate the beauty of the island’s coastline. 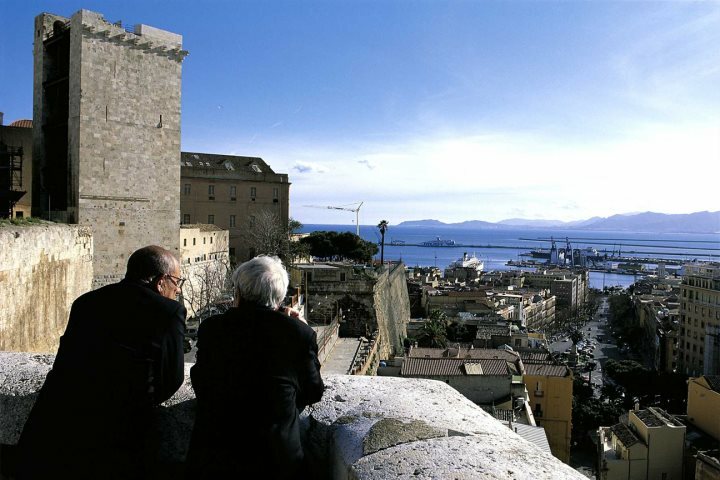 The majority of Cagliari’s primary attractions can be found in or close to the city centre, including the city’s stunning cathedral. The city’s medieval towers are well-known sites to discover during your time in the city, including Torre dell’Elefante, with its distinctive elephant sculpture, and Torre di San Pancrazio, built with white limestone. 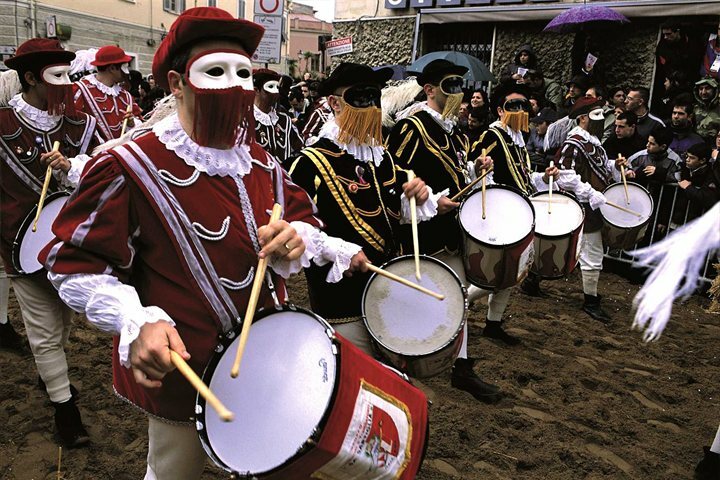 From colourful carnivals to religious processions, Sardinia’s folklore can be experienced at various times throughout the year. Attending one of the island’s colourful and vibrant festivals is one of the best things to do in Sardinia, from the Sagra del Redentore celebrations in Nuoro on the last Sunday of August to the fantastic masks and horse parades of Cavalcata Sarda in Sassari in May. If you’ve jetted over to the island of Sardinia in search of a thrill or two, look no further than the Via Ferrata del Cabirol. 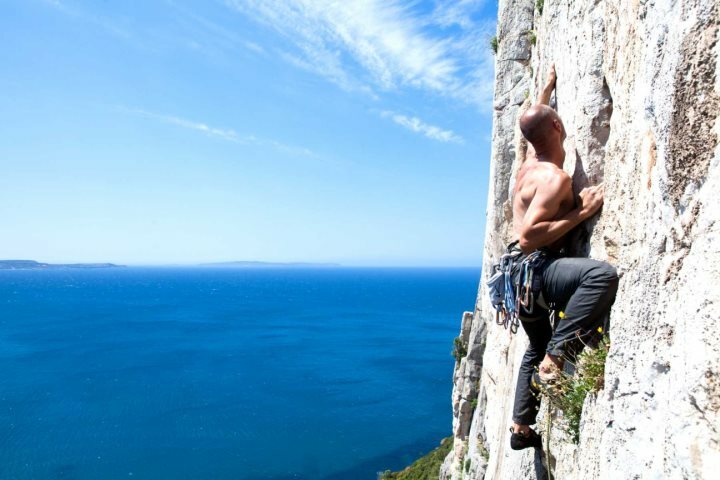 This popular rock climbing site will see you clambering up the face of Capo Caccia, admiring stunning sea views as you climb. The cliff reaches 203 metres in height, promising that you’ll enjoy both a tough workout and a great range of memorable vistas. 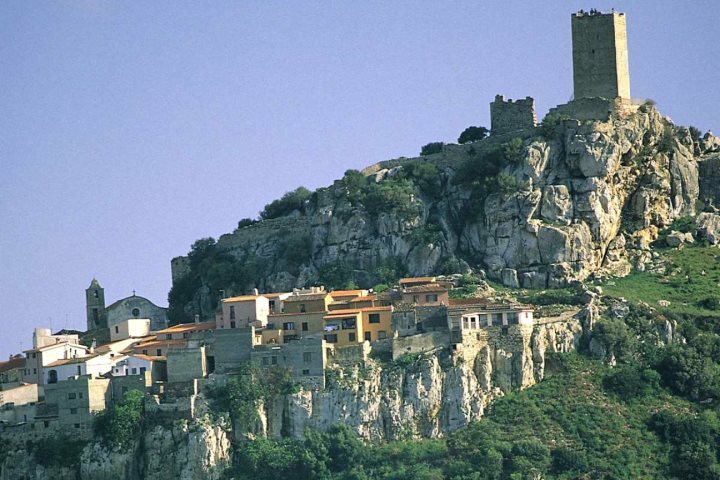 Sardinia is home to a number of impressive castles, some in ruin and some very well preserved. Castello della Fava in Posada is perhaps one of the best known of the island’s castles, recognised for its tall tower which offers incredible panoramic views of the mountainous surroundings. Burgos Castle (pictured below) is another of Sardinia’s famous castles, proudly towering above the village below, and encountering Burgos from afar makes for some fantastic photography opportunities. Tempted by the prospect of exploring Sardinia? Get further inspiration from our dedicated Holiday Ideas page. Have we missed any of the top things to do in Sardinia without going to the beach? Please let us know your top choices by commenting below.